By proactively managing your business systems, we can prevent problems from escalating into bigger issues, minimizing your costs. 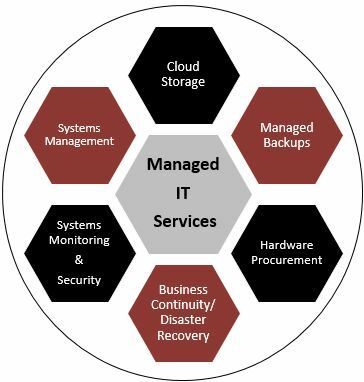 Outsourcing the management of technology services will allow our team of experienced IT professionals to maintain your systems on a proactive basis. We provide support in the Tri-State area. Our staff of experts can help design a customized technology solution for your specific business requirements. Business Technology Consulting (IT consulting) focus on advising organizations on how best to use information technology to achieve their business objectives. Onsite and offsite support options are available as necessary. Issues with your workstation, PC or MAC? 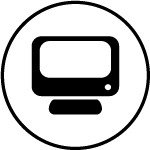 Our experienced support technicians can remotely connect to your computer to access and diagnose your hardware and/or software issues. Our highly qualified engineers can manage, maintain and monitor your onsite or offsite server infrastructure. Maintenance agreements are useful to those organizations that do not have the time to maintain their technology or those who cannot afford to support an internal technology staff. These agreements provide a measure of security and a significant cost savings. We offer two types of maintenance agreements, including monthly contracts and blocks of hours. Monthly maintenance benefits include a network binder with customer specific information, consistent monitoring of technology and priority support status all at a discounted rate. These options are useful to those organizations that do not have the time to maintain their technology or those who cannot afford to support an internal technology staff. We also offer As Needed Technical Support. As-needed support is for organizations that keep up to date with their technology (including virus protection and backup strategies), but occasionally need an experienced professional to upgrade the hardware and software. This option is often used if a company experiences a system failure or needs troubleshooting. RightClickCloud is our workspace as a service solution that acts identically to the deskop you use today. The difference? Your workspace stays in the cloud giving you access your desktop files and applications from any device at anytime and anywhere. 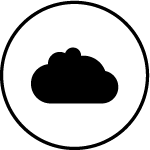 With our secure and easy to use cloud solution, sharing files and folders with collegues has never been easier. 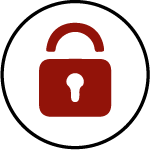 We ensure your important information stays secure by protecting your data using encryption. Don’t have internet access? With our solution, you can have the access to work on all your documents offline , knowing they will auto-sync back to your RightClickCloud workspace when you access the internet. Business continuity allows your business or organization to stay up and running during any serious incident that may occur while minimizing your organizations downtime. 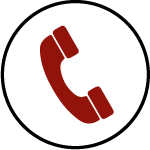 VoIP is a technology that allows you to make voice calls using your Internet connection instead of a regular (or analog) telephone line. Right Click Solutions offers VoIP technology that provides an enterprise grade phone system that is delivered using the cloud. Helping you lower the cost of your phone system, providing features that can make every employee more effective and help ensure a worry free experience, we allow you to focus on what really matters, your business. Best of all, our VoIP technology solution keeps pace with your business as it changes and grows. Keeping your network environment safe is critical in today’s world. Hackers and viruses can infiltrate computer systems through a variety of methods. Right Click Solutions has varies solutions to help minimize your company’s risk. Right Click Solutions provides and recommends different technologies to help secure your inbound and outbound email through secure and encrypted email options. Email remains a very popular and effective mechanism for targeted and advanced attacks to enter an organization. Right Click Solutions can minimize your company’s risk of a virus through providing email and spam protection services. Network Security is the process of putting preventative measures in place to protect your network infrastructure from unauthorized access or misuse, thereby creating a secure platform for computers, users and programs to perform their permitted critical functions within a secure environment. Are your employees complaining that their computers are running extremely slow? Are Internet home pages changing to something new? Does the Internet take a long time to open websites for your employees causing productivity slow down? 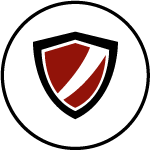 Right Click Solutions specializes in Spyware and Virus removal, prevention and monitoring. Every technician carries around the latest spyware and antivirus software tools to make sure that your problems are fixed fast and permanently. We make sure that your computers are fully protected after any spyware or virus removal. Our technicians are educated about the latest virus and spyware removal and prevention tools. This measure helps us to provide peace of mind to our clients. 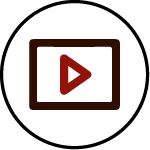 Want to stream an event worry free? Right Click Solutions can provide you the access to live stream an event so, you can focus on the event itself, not the stream. Everything is 100% automated. Live streaming starts and stops automatically by simply entering the details of your event and we can take care of the broadcast for you. 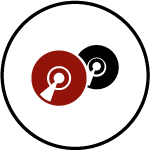 Not only can you live stream effortlessly, within minutes of each live broadcast, your archive is automatically posted for on-demand viewing.